Recently we wrote about what it meant for WordPress Theme Developers and Bloggers that Unsplash changed their licensing terms from a Creative Commons Zero (CC0) license to a custom made “Unsplash License”. 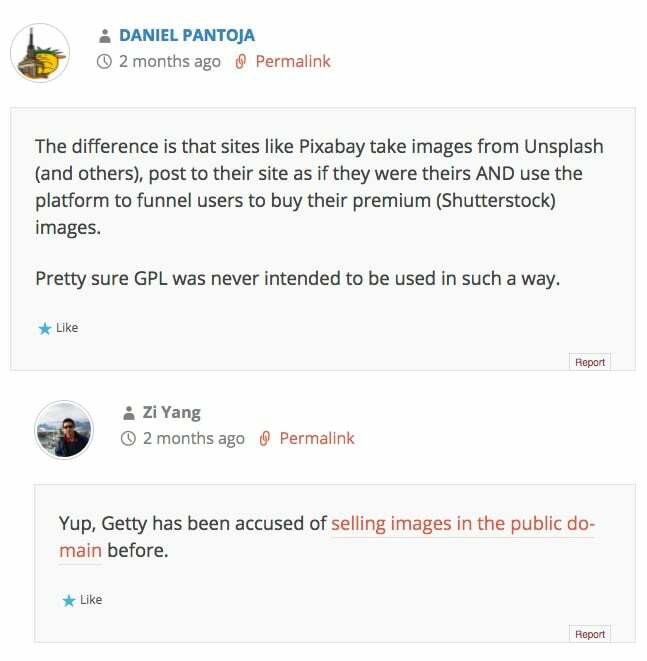 A couple of days ago Pixabay, a well-known photo community, announced that they have decided to go down the same route, creating the custom made “Pixabay License” for all the images they host. And of course, as we have said many times over the years, you should always be fully aware of all the risks in using free photo sites, and in the particularities of your use case. Unsplash is somewhat an exception in the free photo sites sphere, as their service drives traffic to the mother company Crew, a freelance designing platform. Pixabay is more traditional in its approach, and as many other free photo sites around, monetizes its traffic by driving it to the big stock agencies of the world. Unfortunately, there is no such thing as a license “based on CC0”. It is either CC0, or it is not. Pixabay is finding itself in the same gray area as Unsplash in that regard. 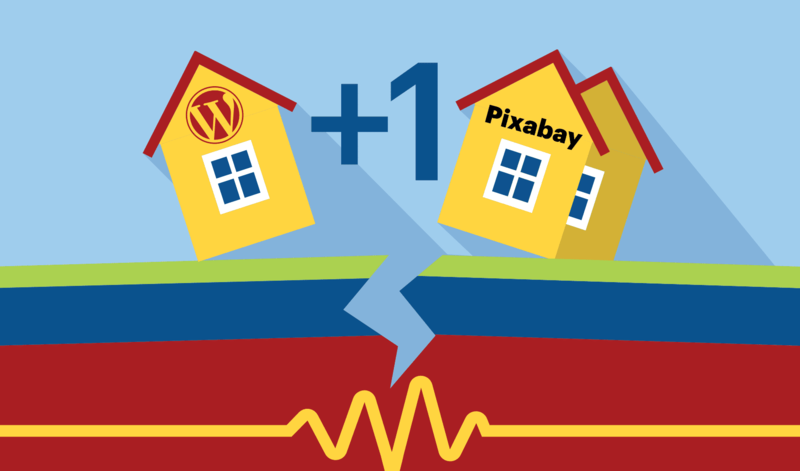 Some WordPress Publishers might be asking themselves: Can I still use Pixabay photos for content I’m creating? And the short answer is yes. But you need to know what kind of photos you can use. While it might sound like a case to use common sense, the truth is copyright laws are structured differently depending on jurisdiction, and in some cases in this Internet age the actual law may not adjust to what we would believe common sense is. Regarding this, it is interesting how Pixabay describes the impact of different models, copyright, property and trademark legal issues on their license page. We tend to see this differently. Copyright laws in the different jurisdictions are really difficult to understand, and one of the reasons we exist is to overcome that complexity by creating a convenient productivity tool for WordPress users to avoid having to bother with these issues. As Pixabay explains, you should avoid using photos with people, private properties, logos or trademarks. We already described in previous articles why “free” photo sites are not suitable for commercial use cases, and there is no exception for Unsplash or Pixabay. The whole subject of Commercial vs. Editorial use is described like this: “However, there is a difference between editorial and commercial use. Model and Property Releases are particularly important for commercial applications. If you are i.e. showing an image on your blog, it is (usually) non-commercial, editorial usage. In general, no release is required for such applications.” This creates the misconception that you can do whatever you want with these photos when publishing a blog. From our perspective, the reality is closer to the fact that is maybe more unlikely that you will get sued, but you still need to know how to use a photo properly, even in content driven only blogs. The challenge for any online publisher using a free photo site is that he or she never knows if the content creator/photographer that uploaded an image or photo with the CC0 or Public Domain license (or similar free license) is aware of its limitations. All authors need to take into account in their creative process that the subjects (people, properties or brands), depicted in the photo or illustration, are also protected by copyright and privacy laws. And they need to give their own consent for the image to be released to the public –whether it’s for free or under a paid license type–. The author of the image can release it as CC0, but the subject owners are not obliged to do the same. Similar to Unsplash, if Pixabay would like to make the life of their users easier before downloading any photo from the site, a notice should say “please read the usage limitations you need to know about before using this service”. Yes, you can use Pixabay photos, but you need to know which photos are riskier and which photos are less risky to use depending on your jurisdiction and your intended use. For these and other reasons, a free photo service can not provide the same level of certainty for commercial usage (and often for editorial use as well) since the economic incentive to set up the full verification process is too small to give away free photos. The intellectual property rights laws in the world are arcane and the photo world is part of that unpredictable legal environment. This will not improve in the coming years and you are better off using the services of paid photo providers or your own photos (take into account what you need to know to use them) that have an interest in legal verification and provide insurance to protect your use case. That is why we have created the PixelRockstar plugin to allow commercial usage forever for any WordPress publisher, without having to worry about copyright or trademarks. We even offer an extended license to let commercial theme and plugin developers bundle our images with their work and redistribute it to their customers. This means their final theme comes with nice images the customer and publisher can use right away out-of-the-box. To create a legally stable and productive environment for WordPress users and WordPress theme developers to search in a database of 4 million images and add images to your posts in seconds. Saving your time, and allowing you to create awesome content for your audience. In our previous articles we have explained the difference between commercial and editorial uses when using photos in WordPress, the risks of using creative commons photos, the privacy and copyright issues when using photos with people, then why you cannot use a photo of the Eiffel Tower with the lights on and other landmarks to watch out for and finally 10 surprising objects that are copyrighted before you can use them in your online publication. We recommend reading the full series to be safe using photos in your WordPress publication. Read on rockstar!